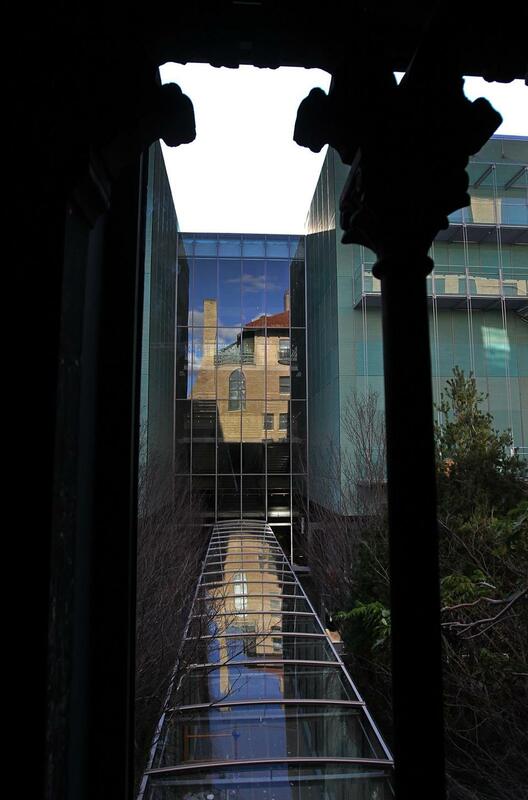 The new addition to the Isabella Stuart Gardner art museum will open to the public on Jan 19, 2012 so I thought that I would include some pre-opening photos of the new addition to supplement my upcoming visit to the site. To those unfamiliar with the museum or its history, it opened in 1903 as a repository for Mrs. Gardiner’s collection of art and antiquities. 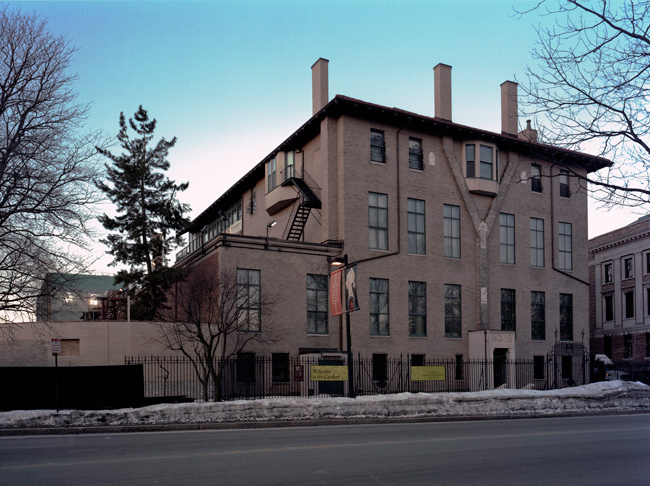 The original museum faces the Fenway and was designed by architect Willard P. Sears. Construction lasted from 1899 to 1901. 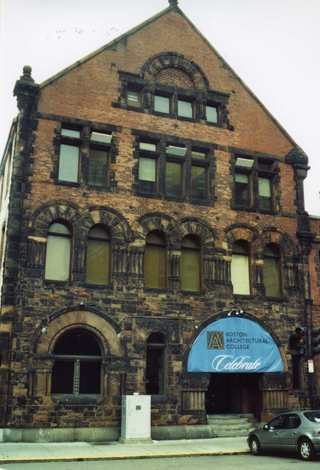 The museum opened to the public on Jan 1, 1903. 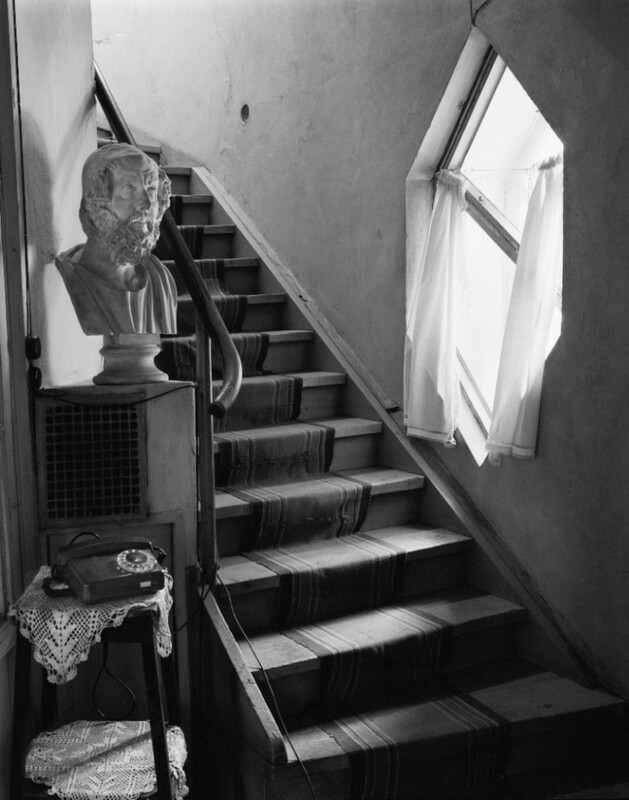 Mrs. Gardner used the building as both a house and a museum, making the fourth floor her personal residence. 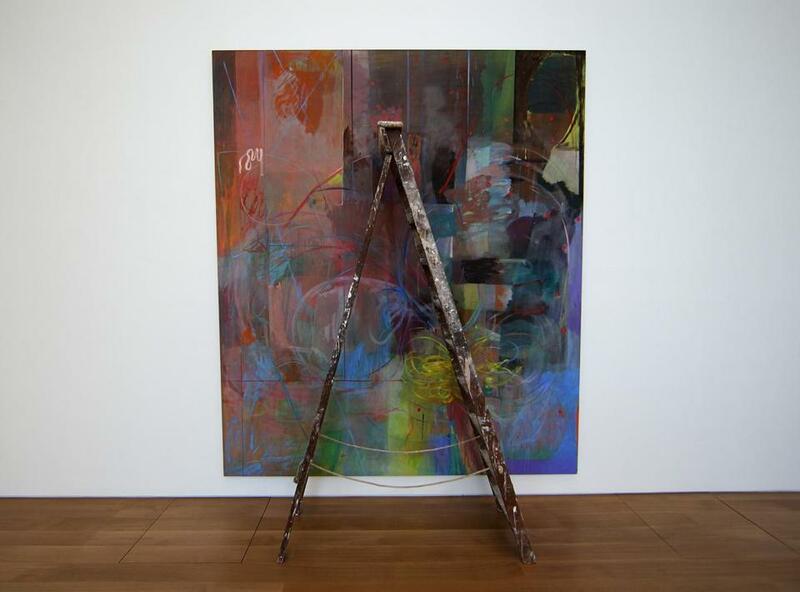 Today the museum is probably most infamously known for the famous art heist that occurred in 1990 in which 13 valuable Dutch Masterworks were stolen from the walls and remain missing to this today. The heist was believed to be an inside job and the whereabouts of the stolen pieces remain a mystery. 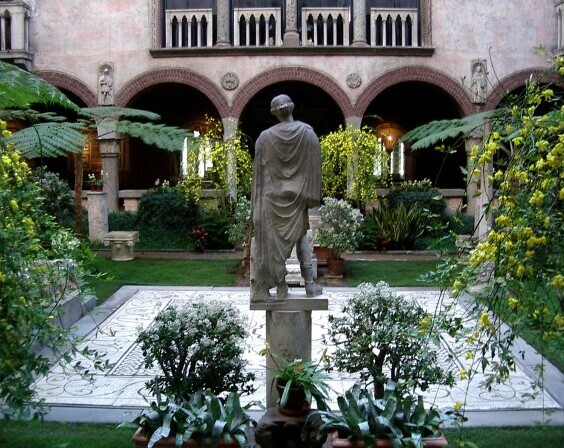 Equally famous is the museum’s courtyard with its splendid gardens. 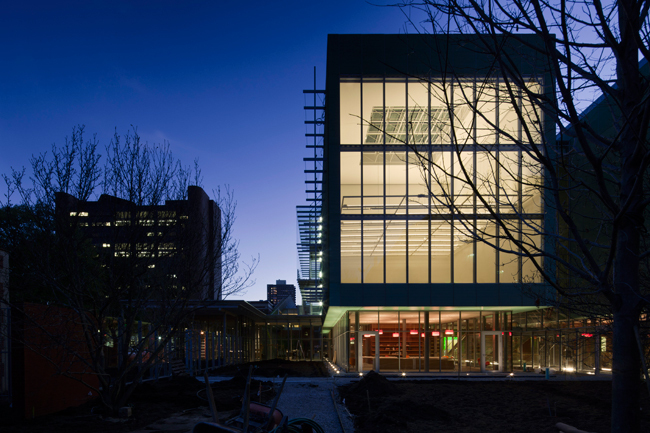 The new 70,000 sq ft addition was designed by Renzo Piano at a cost of $114 million dollars. Included in the new addition are a concert hall, gallery spaces, entrance lobby, restaurant, offices, stair tower and a greenhouse. Below are photos of the new addition. 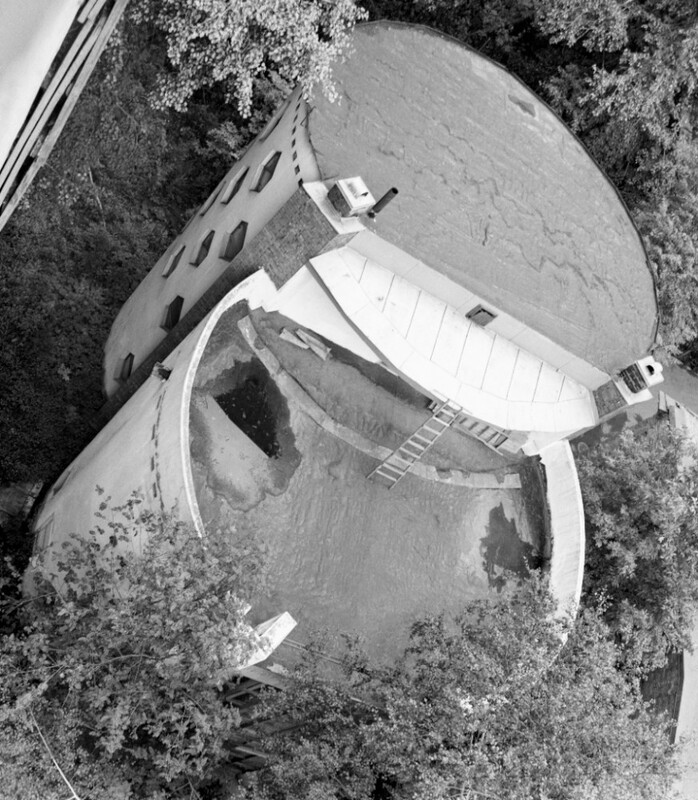 This house was something I came upon by accident, but it really intrigued me. 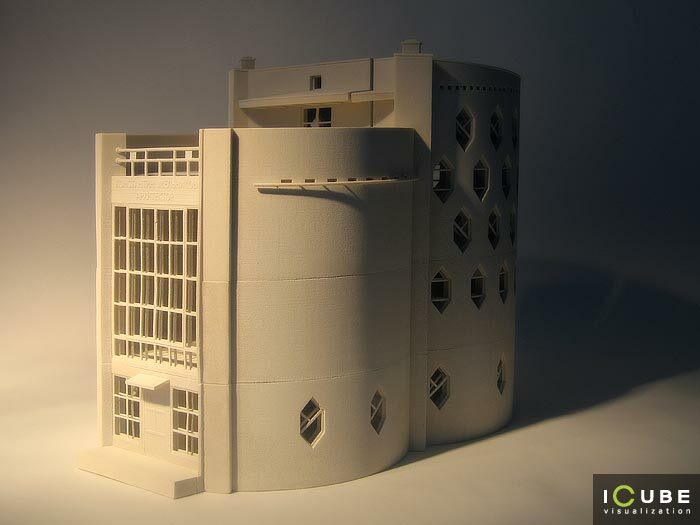 From a US perspective, Russian architecture is rarely explored in any detail in architecture schools in the US (at least not at the one I attended) aside from a cursory mention of Constructivism presented in an art history seminar. 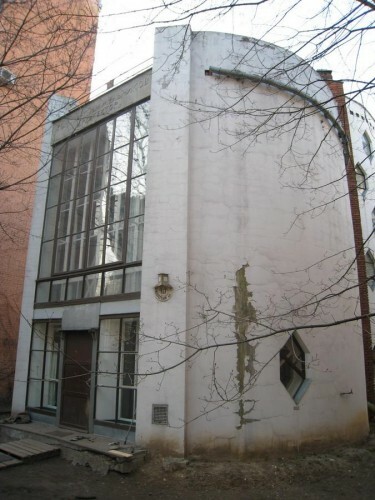 I was not familiar with Melnikov’s body of work prior to discovering his house. 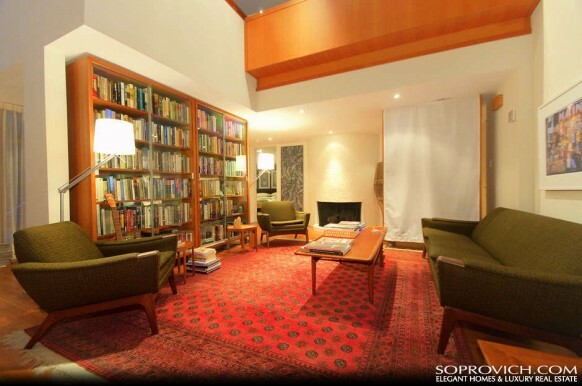 The house itself was built in 1927 based on 2 interlocking circles and was really ahead of its time as the house had no internal load bearing walls. 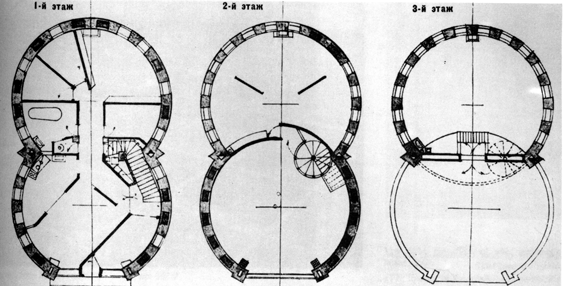 The entire structure was supported by the two interlocking circles. 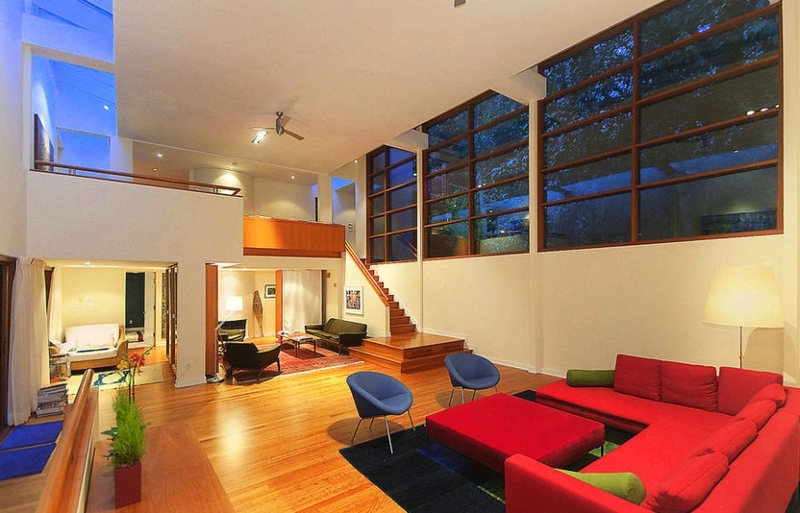 This allowed for a very open floor plan. It would not be till the mid 1950s (mid-century modern) that this kind of open concept plan was implemented in any way in the United States. 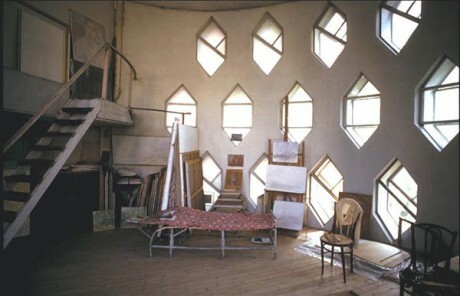 The house still exists today and is still occupied by Melnikov’s relatives, but it is in sad shape in and dire need of restoration. The Russian government is in the process of creating a preservation grant to restore it to its original glory, but that maybe sometime till the work is completed. 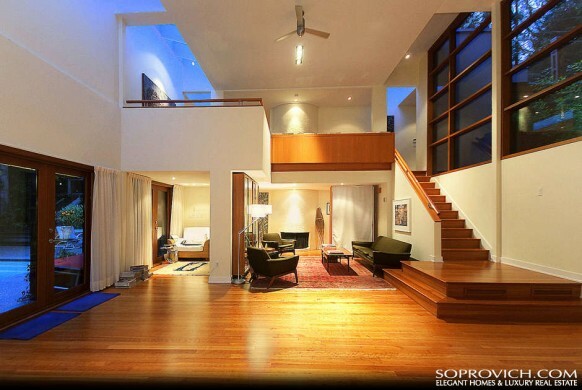 So below are some photos of the building that you can check out to give you some idea of the feel of the house. 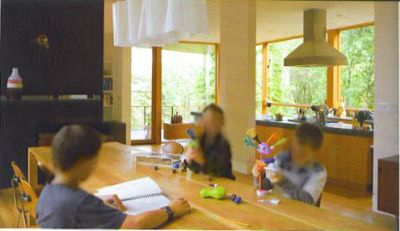 The ground floor is taken up by a kitchen and bathrooms while the second floor is reserved for the living room in the front of the house with the bedrooms in the rear. 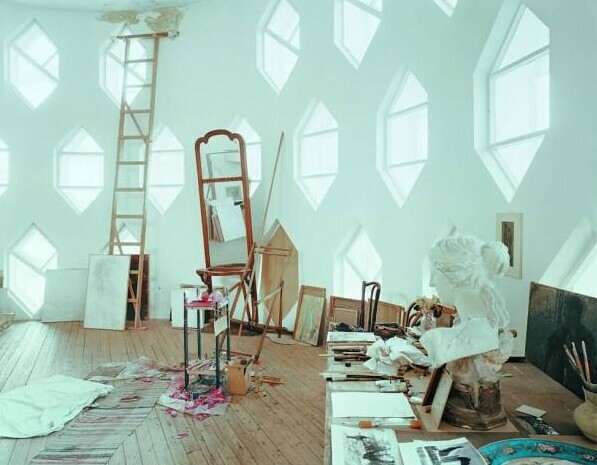 The third floor occupies Melnikov’s double height studio space. 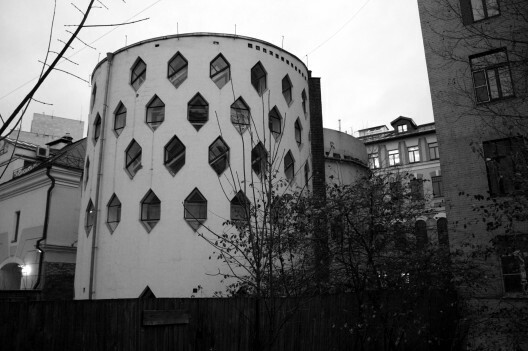 Melnikov was an artist as well as an architect. There is also a roof deck. 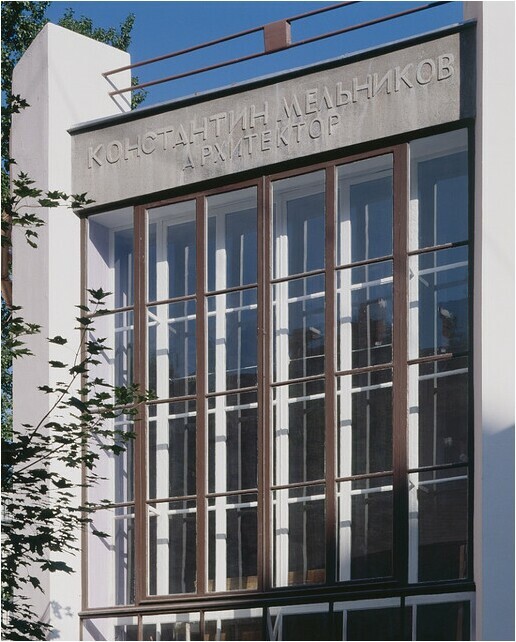 I am somewhat surprised by Melnikov’s use of a flat roof in Moscow. 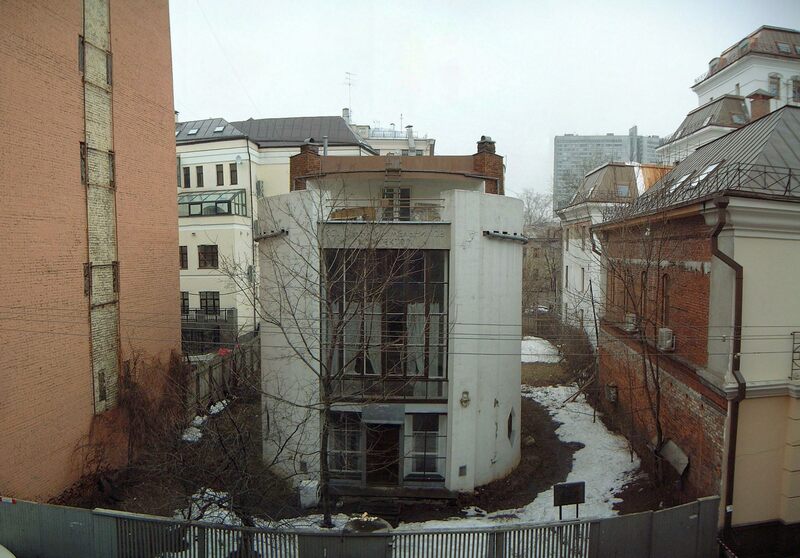 Russian winters would not be conducive to such a design and the owner would have most likely had to have shoveled snow off the roof to prevent it from collapsing. 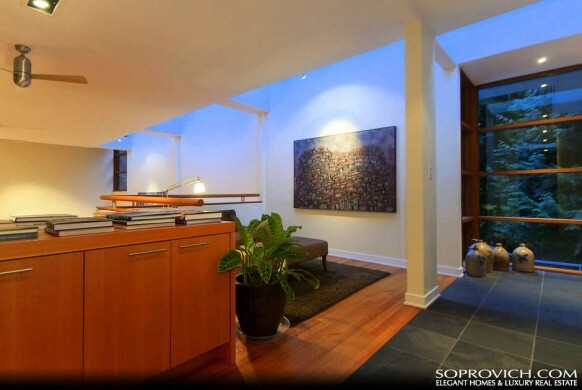 The series of scuppers and downspouts that surround the roof are also somewhat unusual and surprisingly prominent. 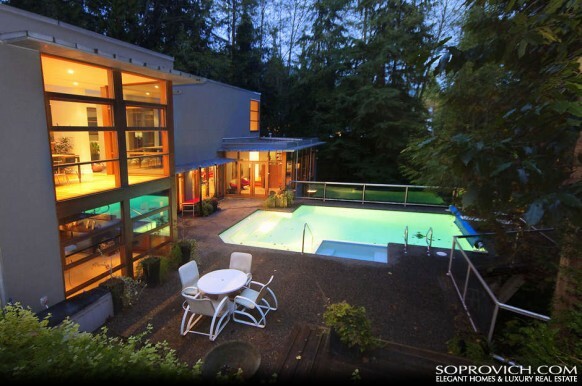 Of course the signature element of this design are the trapezoidal windows that blanket the outer rings of the house. The openings were designed to conserve brick which was in short supply in Russia at the time. The quality of light that comes in through these openings is superb. 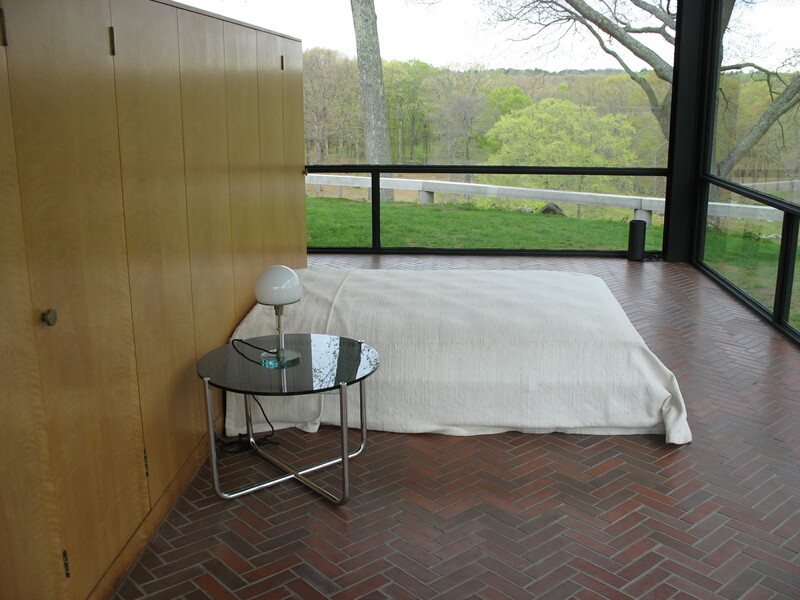 I am back from my visit to Philip Johnson’s Glass House and was truly wowed by the experience. I was very curious to see what it actually felt like to be inside a glass house, would you feel on display and exposed or would it feel completely different? I will get to my reactions in a moment, but first a little background. 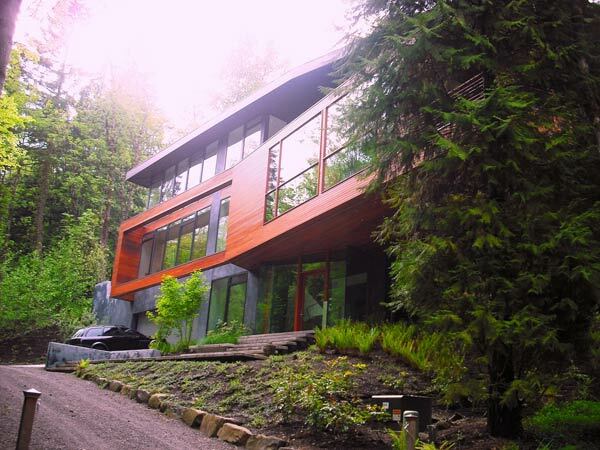 The Glass House is set on a 46 acre property with 13 other structures. 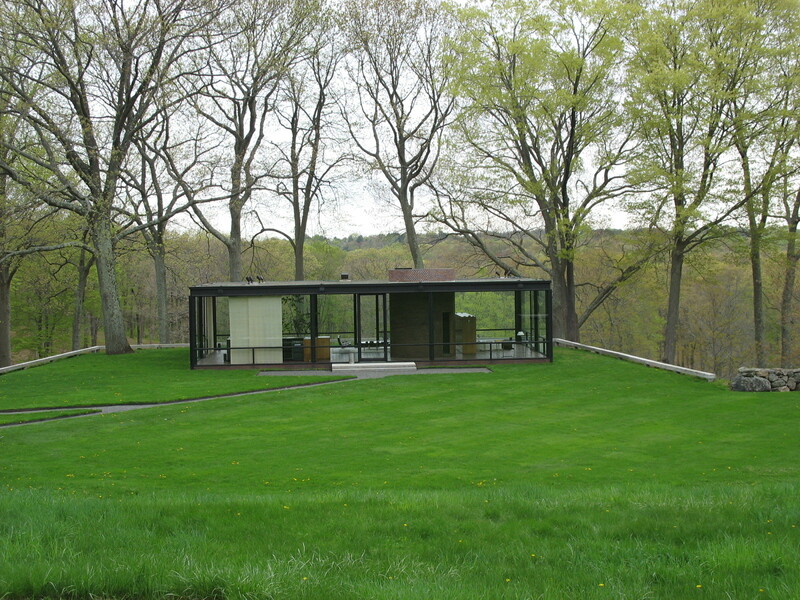 Johnson initially purchased property in New Canaan in 1949 and built the glass house and brick house on a much smaller site. 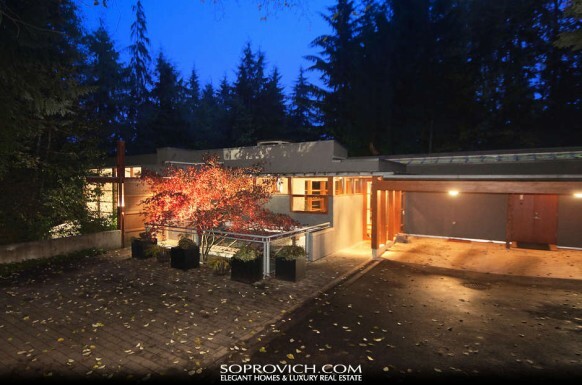 Over 60 + years, Johnson was able to acquire neighboring properties to grow his compound to 46 acres. 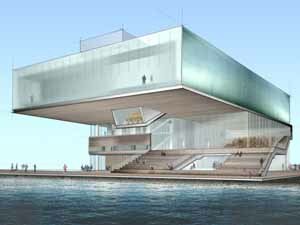 Initially Johnson would spend weekends at the glass house with his primary residence being his apartment in New York City. In the last years of his life, the glass house became his full time residence. 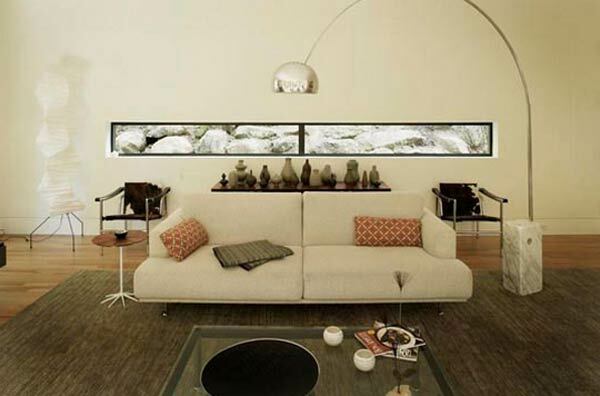 The glass house was modeled after Mies Van Der Rohe’s Farnsworth House located in Plano, Illinois. Both the Mies & Johnson houses have exterior walls made entirely of glass supported by steel I-beams around the perimeter. The I-beams were placed on the outside of the glass walls (in the Farnsworth House) and on the inside (with the Glass House). 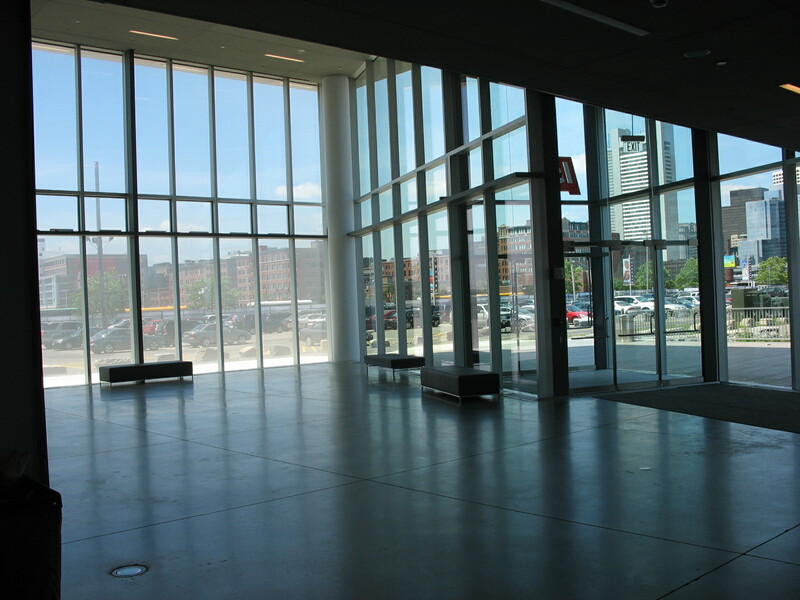 Johnson’s glass house is heated by radiant floor heating piped from the brick house and cooled by natural cross ventilation from the east/west entry doors in the summer. The feel inside the house was surprisingly comfortable. I expected it to feel quite exposed, but the furnishings actually keep the eye focused inside. When you do look outside, you are surrounded by nature which is very tranquil. 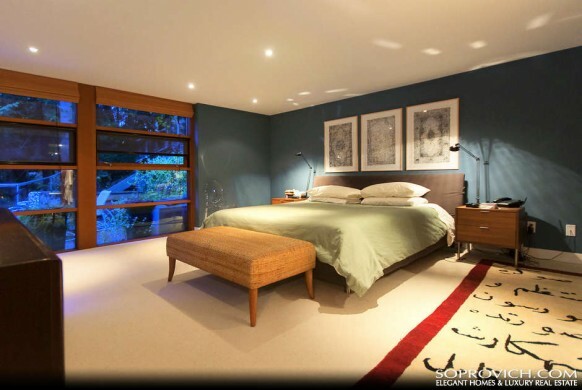 Only the North facing bedroom area felt exposed as the bed was placed almost on the floor and had no other furniture around it to distract the eye. The view from the bedroom also faced a neighboring colonial house which seemed so out of place amid the modern environment of the glass house. Johnson designed not only the house but the landscape for the property. 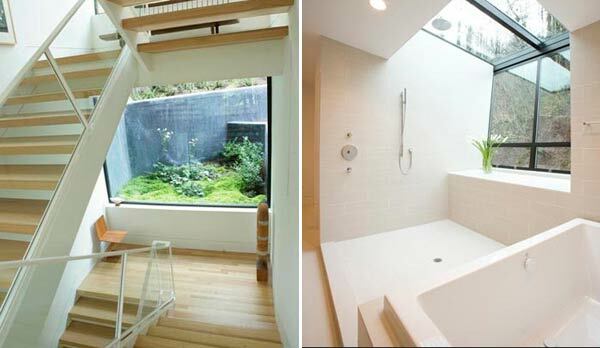 The glass house overlooks a steep precipice with a man-made pond below. 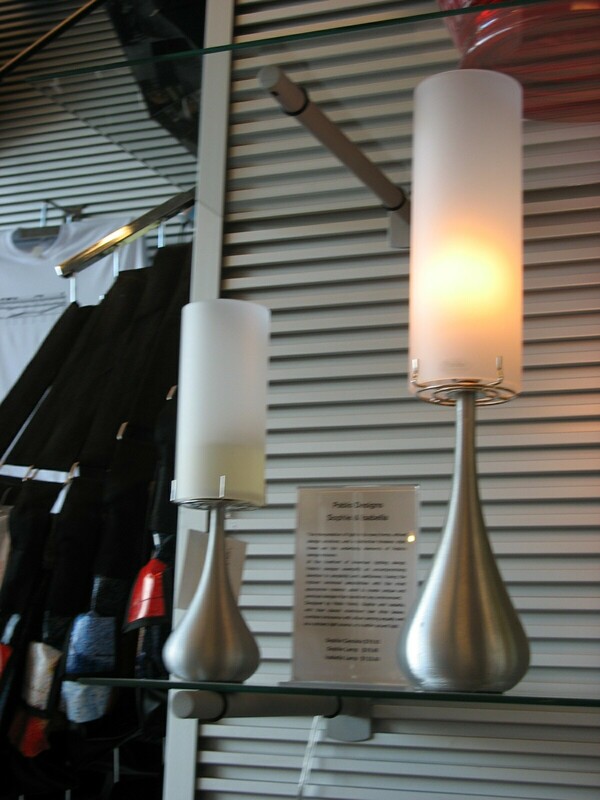 Check out this short video taken from the patio just outside the glass house to get a feel for the surroundings. Of course there is lots going on here visually and from a design perspective with respect to scale, placement and composition, but the tour guides at the property will do a better job of explaining all that then I could in this format. Johnson used historic prescient when designing the structures for his property. 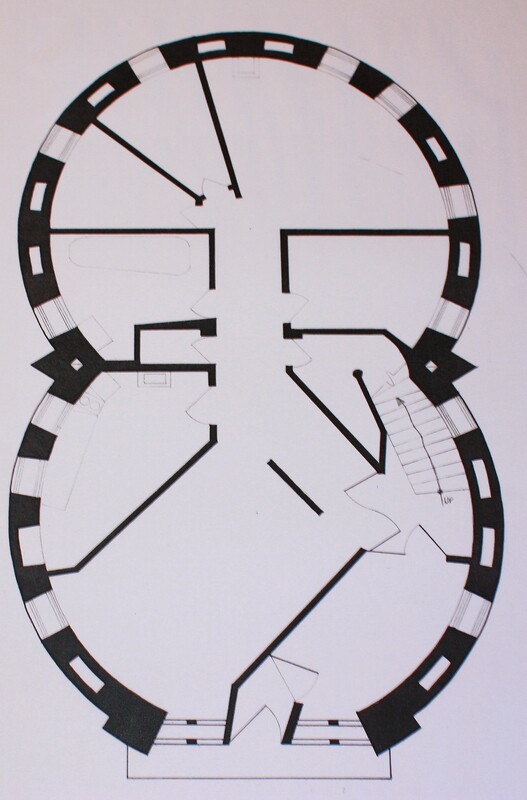 He would often take details from historic structures and incorporate them into his designs. The tour covered all of these historical references to the past in great detail, but there was one that really jumped out for me. I noticed this comparison with Jefferson’s Rotunda at UVA in his hillside art gallery. The hillside art gallery consists of 4 concentric circles that overlap. 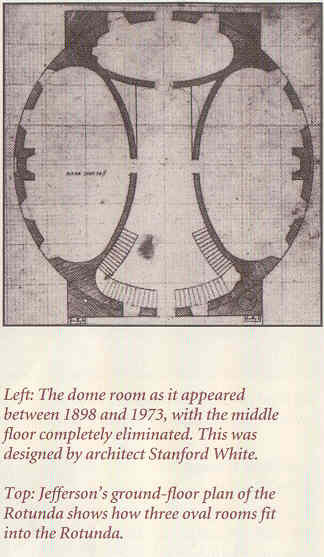 Take a look at Jefferson’s plan for the rotunda and then compare it with the ceiling of the art gallery. 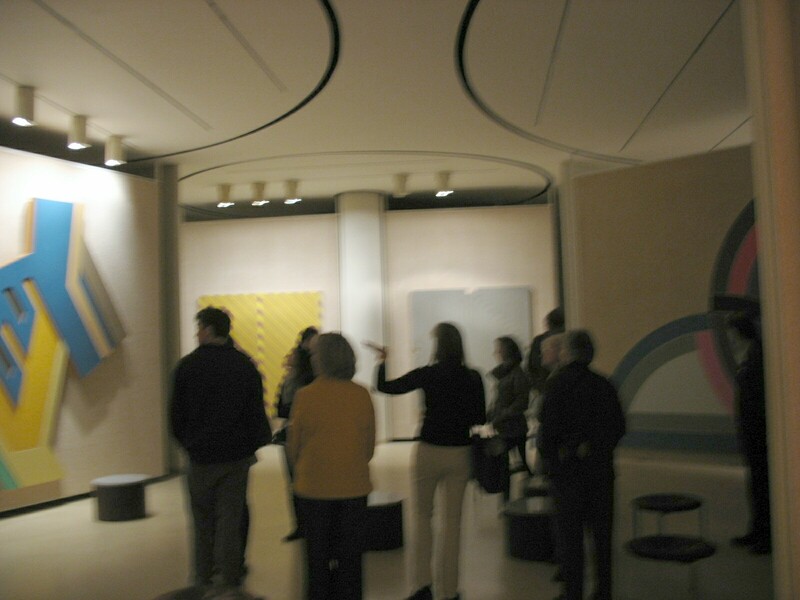 The floor plan is created in the ceiling tracks for the movable art walls. 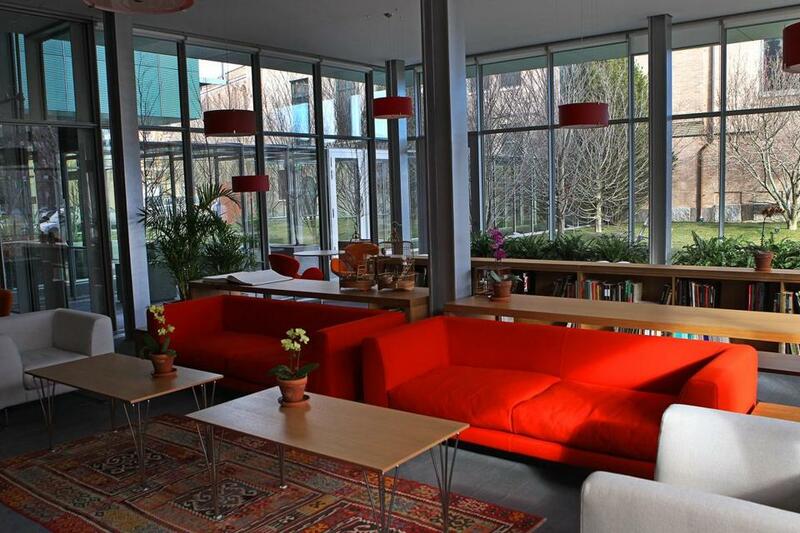 If you are interested in visiting the Glass House you need to book a tour in advance via the Glass House website (see link below). It is somewhat costly at $32.00 per ticket for the basic tour (if purchased online) but well worth it in my mind. The basic tours last 90 minutes which goes by in no time at all. I would really recommend one of the extended tours which are 2 hours or the most costly private tour for $250 (if money is no object). With the private tour you get to go into all the building including his studio (office) space which is not included on the basic tour. 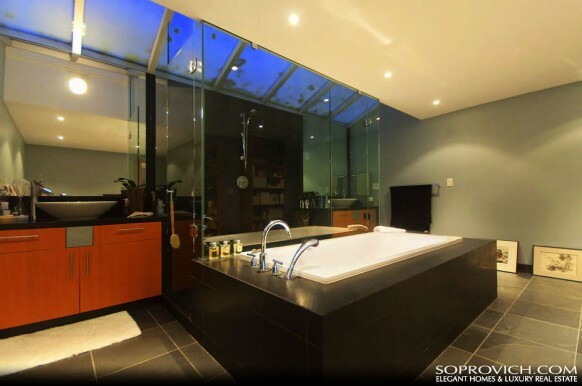 Of course the ultimate trip would include spending a night in the glass house, but alas that is not available. All tours start at the Glass House visitors center in downtown New Canaan, then after a brief overview of Johnson’s life and career, you take a bus to the property. 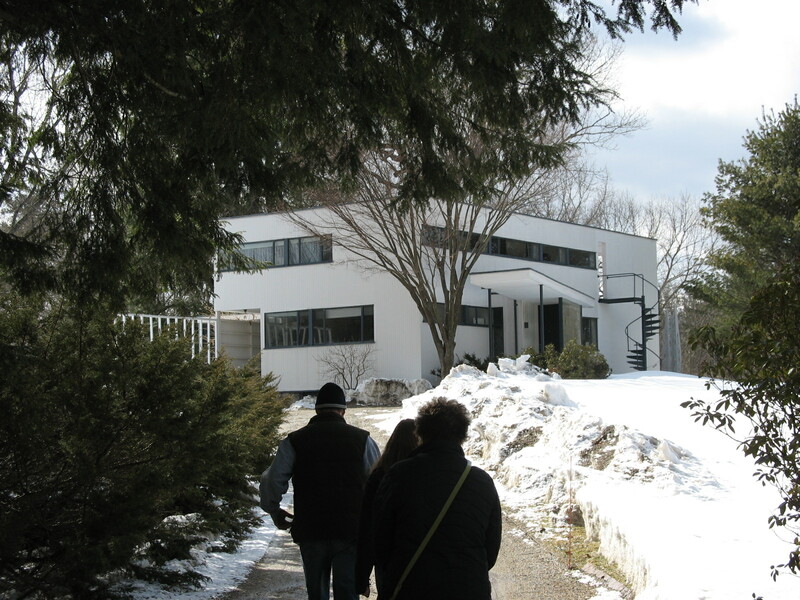 I am just back from my tour of the Gropius House in Lincoln, MA. Visiting the house has been on my to do list for a while and today was the first nice day that coincided with the house being open during its limited winter schedule (Only open on weekends from 11am-4pm in the winter). I have to say that the house surprised me on several counts. It was built in 1938 in the International Style, yet when I went through it, it had none of the cold ‘industrial’ feel that the Corbusier villas from the same period exude. Like all museums, you can only take pictures of the outside, but lucky for you my readers I choose to flout those conventions and was able to sneak a few shots of the interior for you to see. 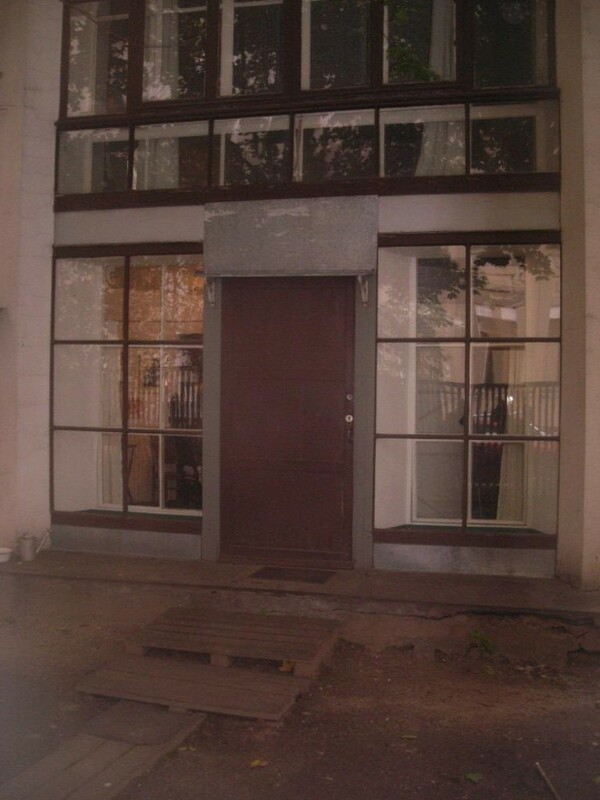 The remaining interior photos are from the bldg’s website. Surprise 1 The glass block. 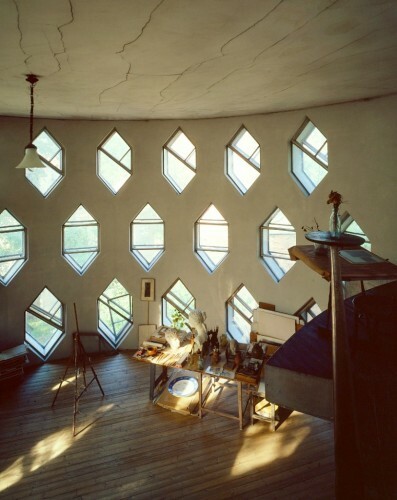 Glass block was used in the mudroom and in Gropius’s study. Previous photos of these spaces always appeared very cold and sterile. And to an extent my opinion didn’t change after seeing the spaces in person. However by placing plants and flowers against the block walls, the block and the rooms containing it are warmed considerably. 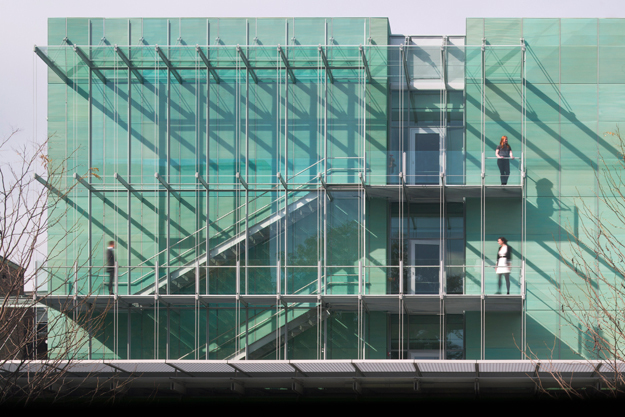 The use of the glass block in the entry also made complete sense when we returned to the front door at the conclusion of the tour. 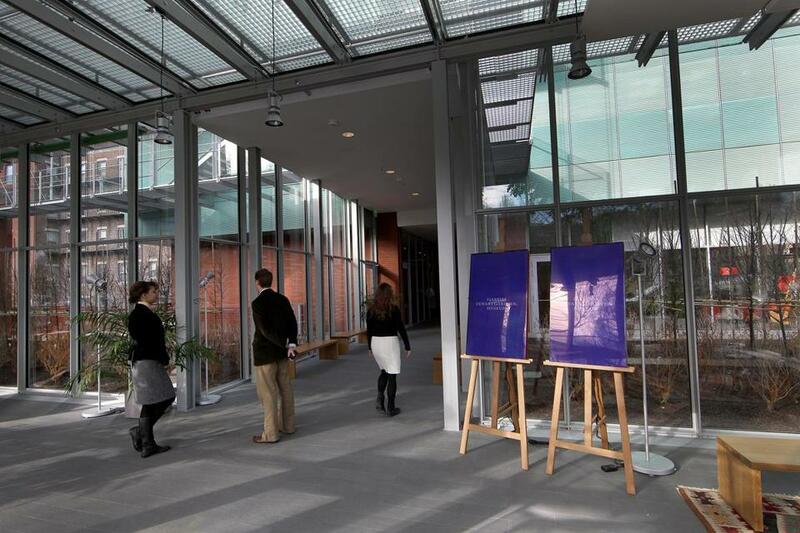 The glass allowed a very warm light to enter the foyer. Surprise 2 The number of bathrooms. 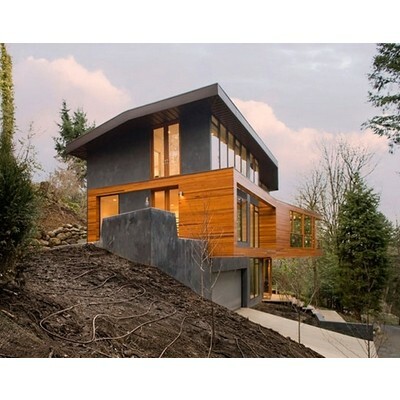 For a small house (only 2600sq ft) the house had 3.5 baths (2 upstairs + 1.5 downstairs). For 1938 that must have been considered a great luxury. Surprise 3 The ribbon windows. 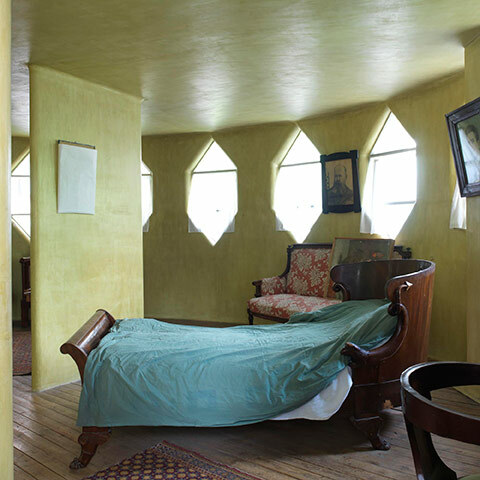 Prior to my tour, I had only ever seen this window arrangement in the Corbu villas and the photos of those bldgs made them seem very uninviting. 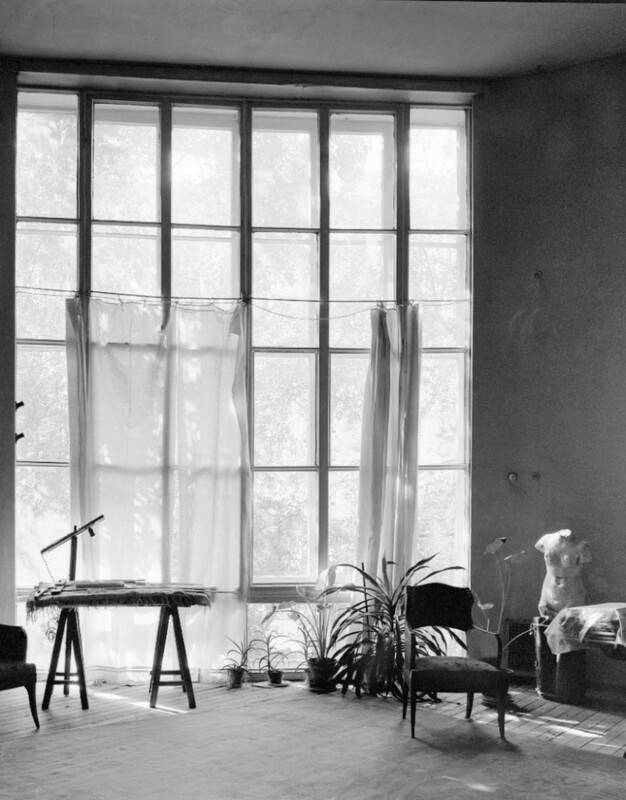 In the Gropius house, curtains and the positioning of the windows (at shoulder height on the 2nd floor) made the windows very pleasing. 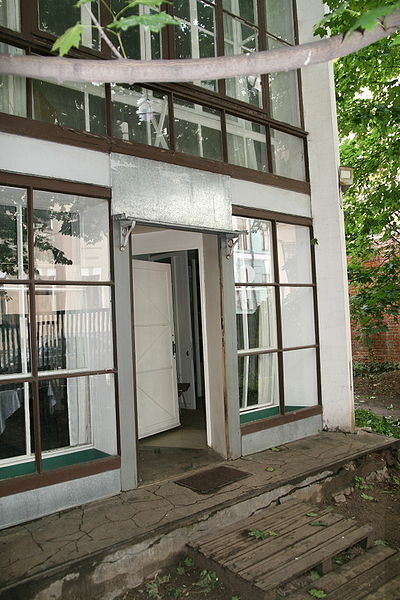 Similar to Wright’s Robbie House, the windows were positioned to allow one inside to look out, yet concealed the view of the occupants from passersby on the street. The high window placement also created a transom window effect and drew your eye away from the ceilings which were barely 8ft on the second floor. Surprise 4 Modern HVAC system. 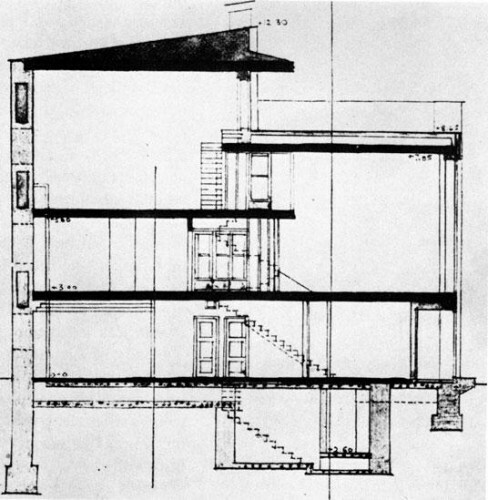 Gropius was quite innovative with the heating of the house. 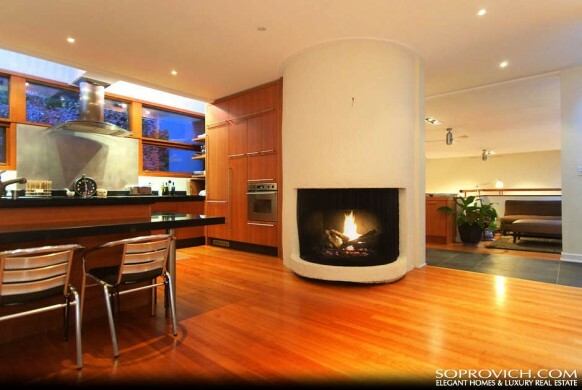 A single boiler powered a split hot water and hot air system for heating the house. Surprise 5 The bedrooms. 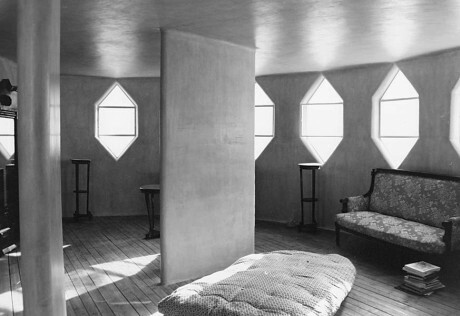 Both the guest bedroom and Gropius’ daughter’s room had an L-shape to them. Both rooms were compact by today’s standards but the arrangement felt very spacious for a 12 x 12 room. Surprise 6 All the art in the house. I suppose that this isn’t really a surprise given that Gropius was the head of the Bauhaus school and his colleagues were the lead designers of the time who gave him all kinds of gifts over the years. In a way the house was like a showroom for the Design Within Reach catalog, which sells very overpriced copies of the original masterworks. I was making a mental calculation of what all the furnishings would cost in today’s prices. It was a lot. Yet the house was surprisingly modest. 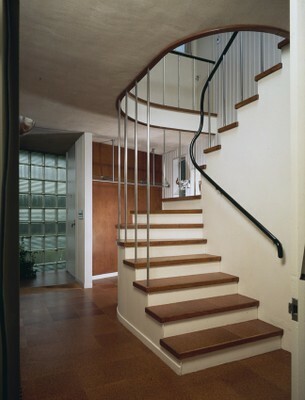 There was no trim work or fancy molding in the house (in keeping with the International Style) and all of the components except for the stair railing were purchased from catalogs at the time. Surprise 7 The small details. Like the recessed tracks embedded into the ceilings for movable curtains. Genius. Surprise 8 Gropius’s design philosophy and personal practice. 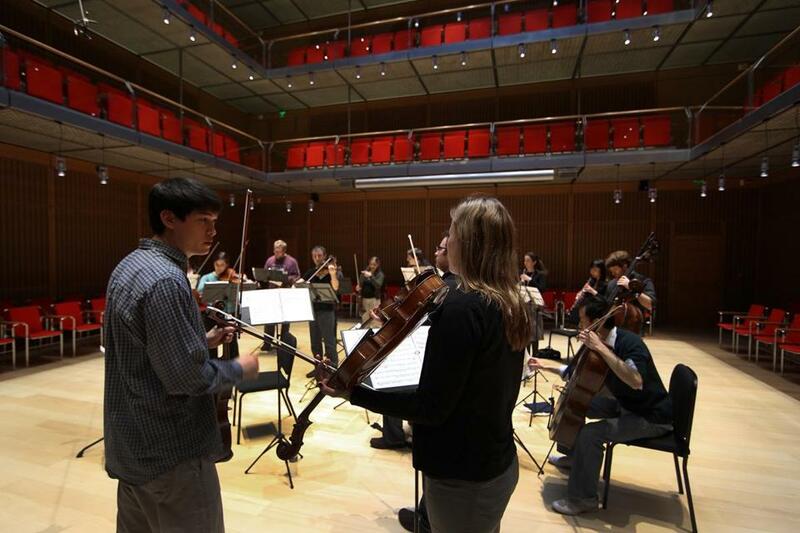 He preferred students who developed their own style and methods, avoiding following the methods of their instructors. I was also surprised that he never did any of the drafting or model building for his designs himself. He would only sketch out his designs and then have his assistants produce the drafted working drawings. 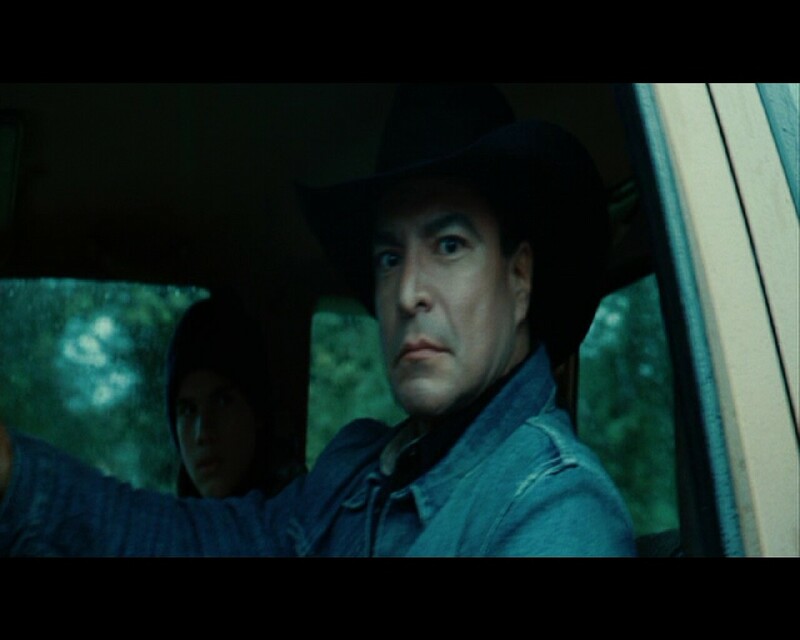 Overall I was really impressed with the house and discovered a lot of ideas that I intend to introduce into my own work. Therefore I would highly recommend a visit to the Gropius House if you are in the area. 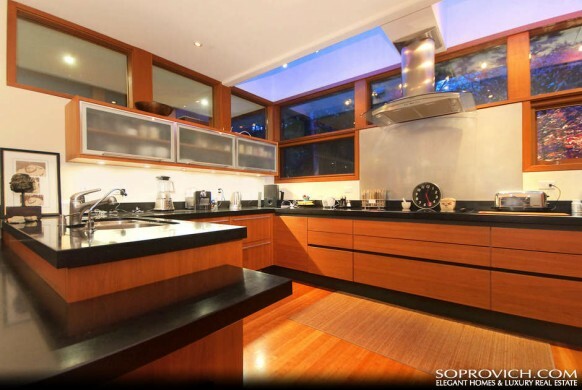 For further info about the property click this link. 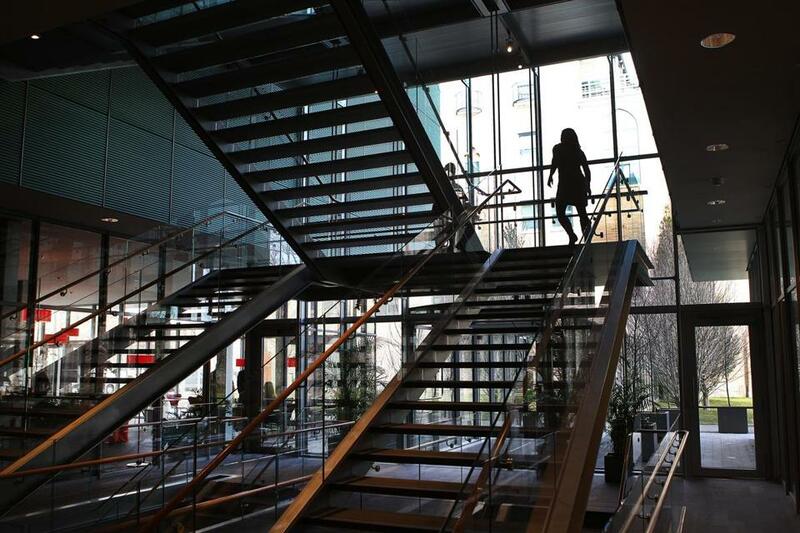 The new building was design by the firm Diller/Scofidio/Renfro Architects using what is becoming their signature S-shape stacking effect to support the upper floor. 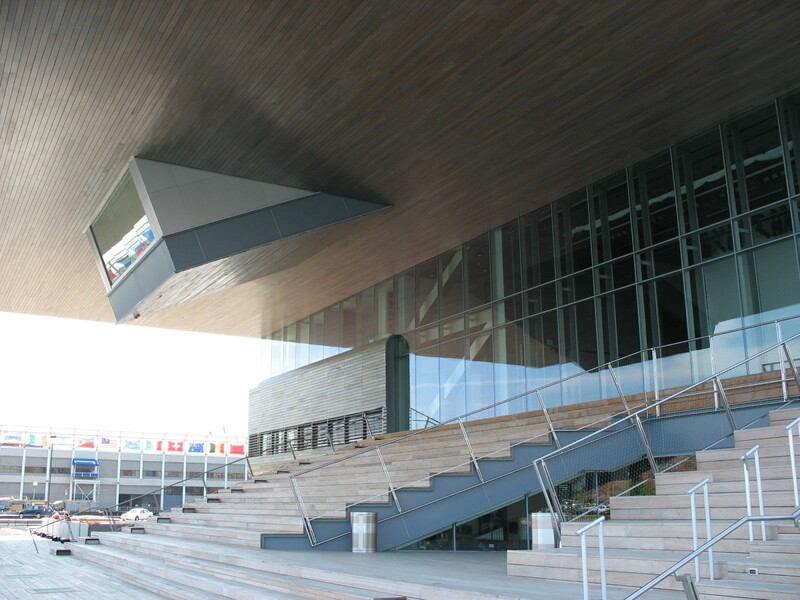 The building also utilizes a ‘mega-truss’ which runs from the back to the front of the upper floors supporting the building’s cantilever over the harbor. When you arrive at the site, the one thing that struck me was the lack of a defined entrance or planing of some type of arrival sequence for the building. It is located behind a large chain-linked parking lot with no real signage or delineated entrance. 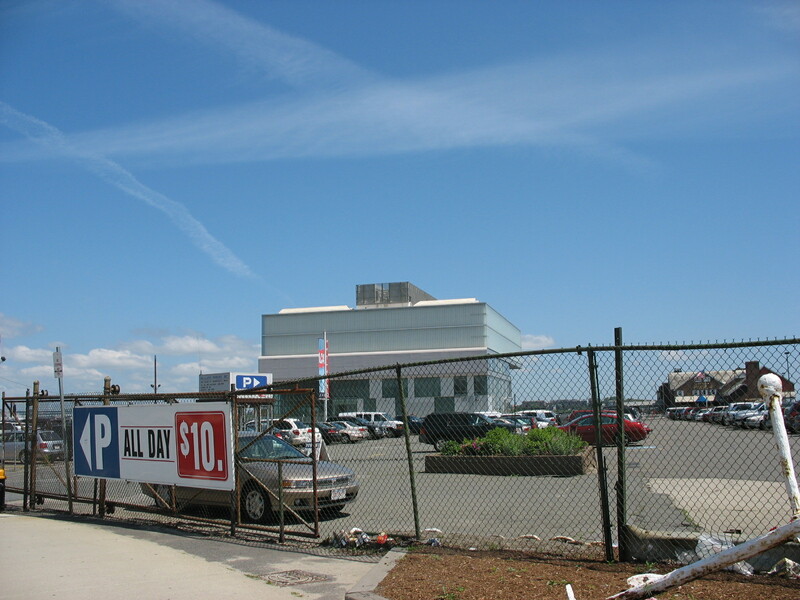 The facade facing the parking lot is also notable for its lack of character. 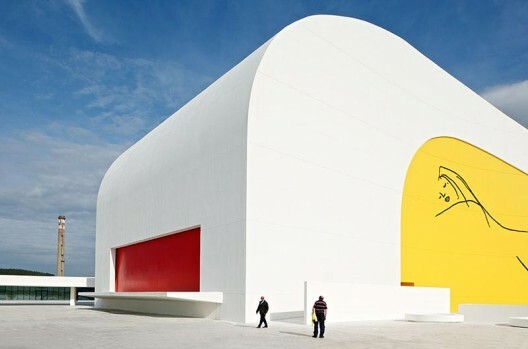 Perhaps the building’s architects were trying to ignore the presence of the parking lot. 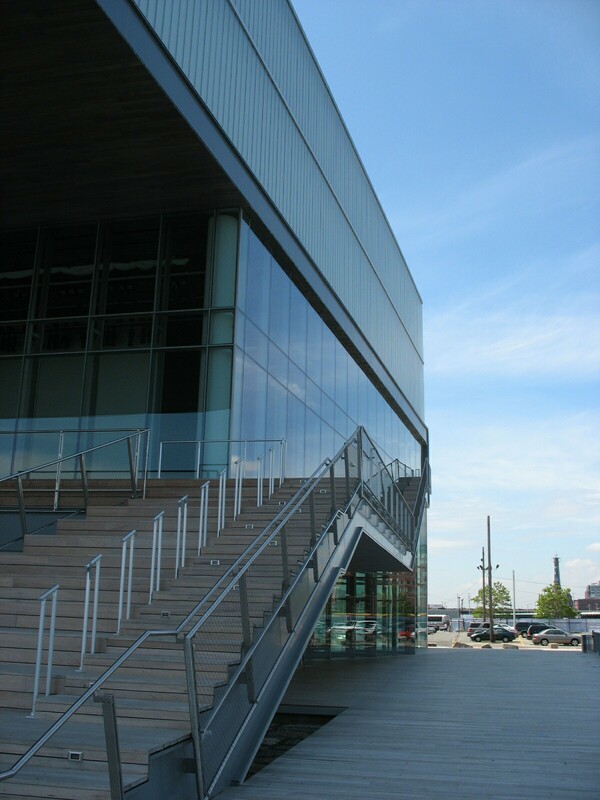 However, once you walk around to the water view side, the story changes, and you are presented with an outdoor style theater seating area and lots of curtain wall glazing looking out over the harbor. After walking around the perimeter of the building, I finally located the entrance on the rear left side and went in. 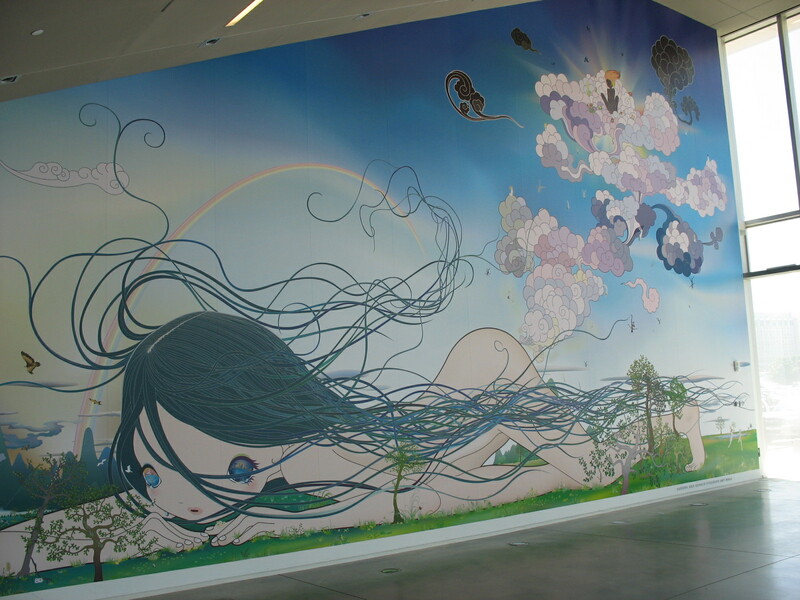 You are greeted by a massive mural, a reception gallery, a small gift shop, with dining options beyond as well. 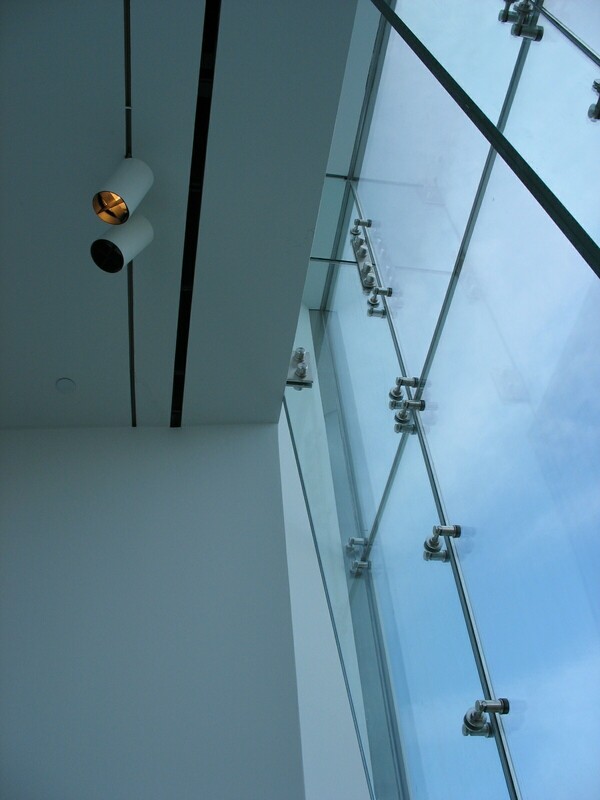 The actual galleries are on the upper floors which are reached through an over-sized glass elevator which offers you views of the harbor as you ascend. 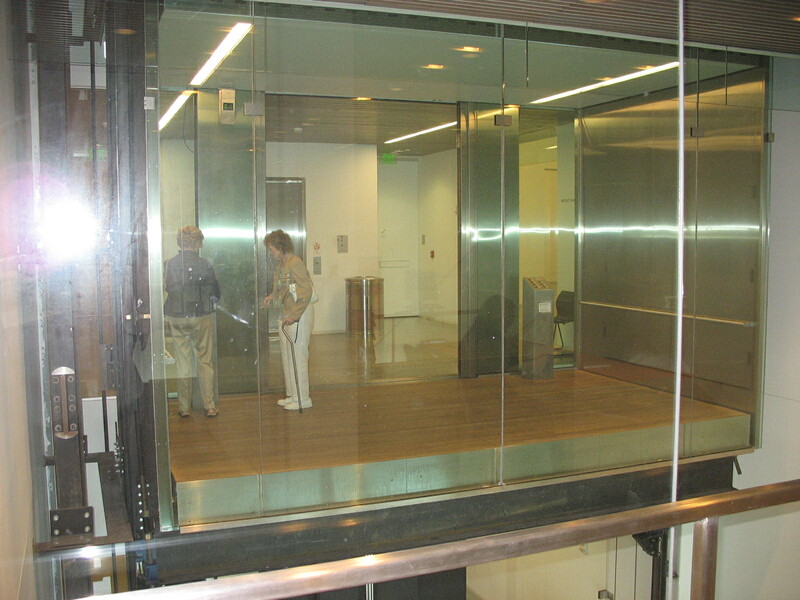 The elevator ride was one of the best architectural moments that the museum created. 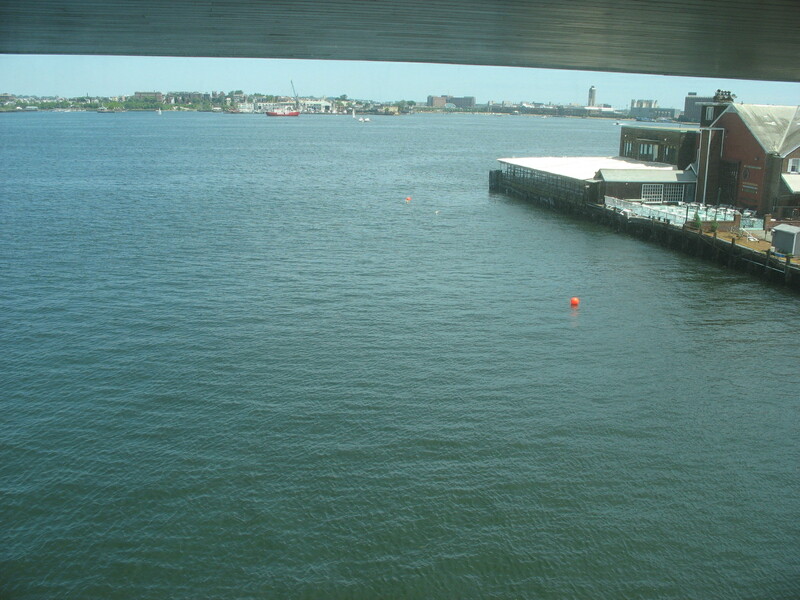 The gallery spaces themselves are all white, yet surprisingly you don’t reach the view of the harbor until you are almost through the museum galleries. 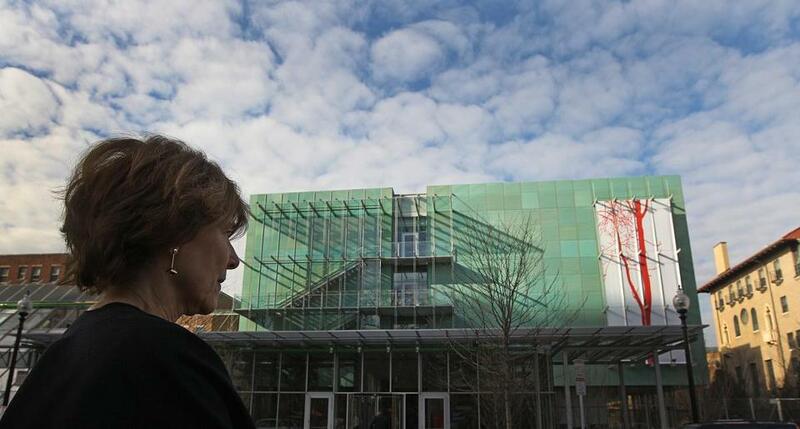 The museum also has a virtual gallery set on a sloped floor projecting out from the building like a pop-up camera. 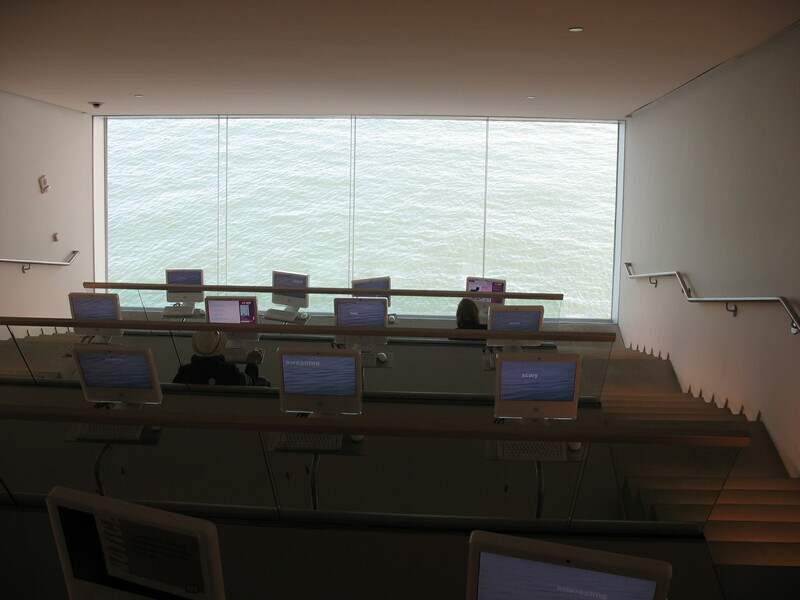 This space houses a computer lab that allows one to view the art on display online. The view from this space is impressive, but the sloping floor and water view leave you feeling tipsy and grasping for the guardrails. 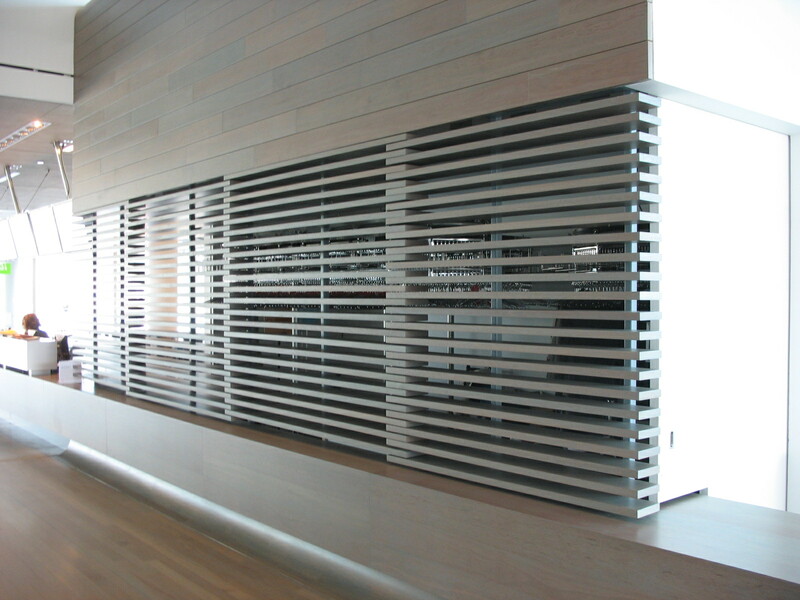 Also of note, were all the custom details created for the coatroom and gift shop using lots of horizontal slats. But for me, the exit stairwell was the coup de gras. 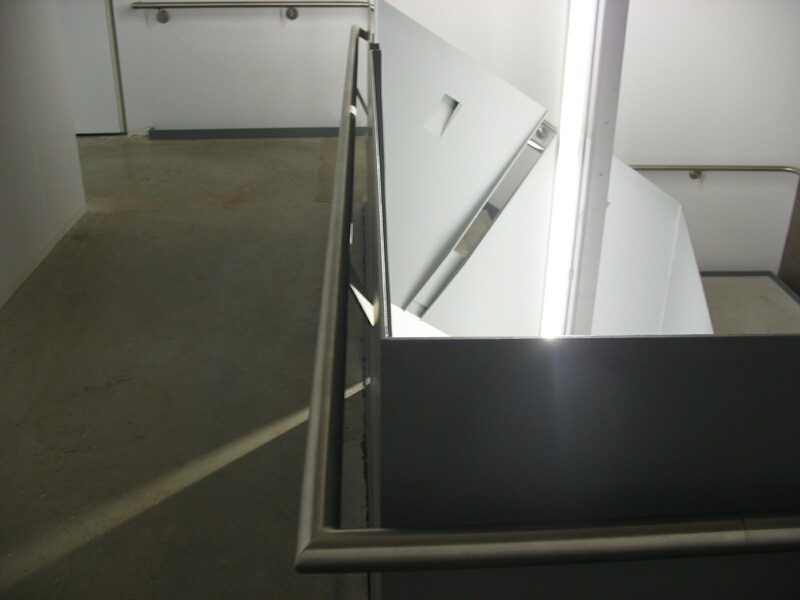 Normally fire exit stairs are completely forgettable spaces not worth mentioning. 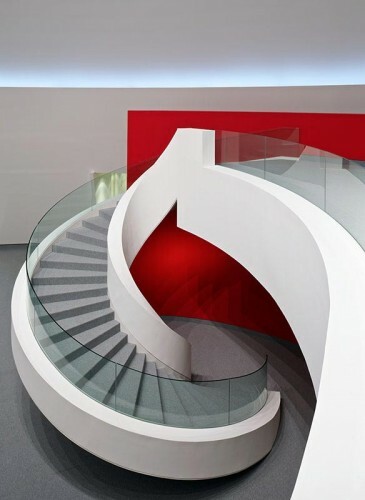 Here the architects rose to the challenge and created a very dynamic space in the exit stair. 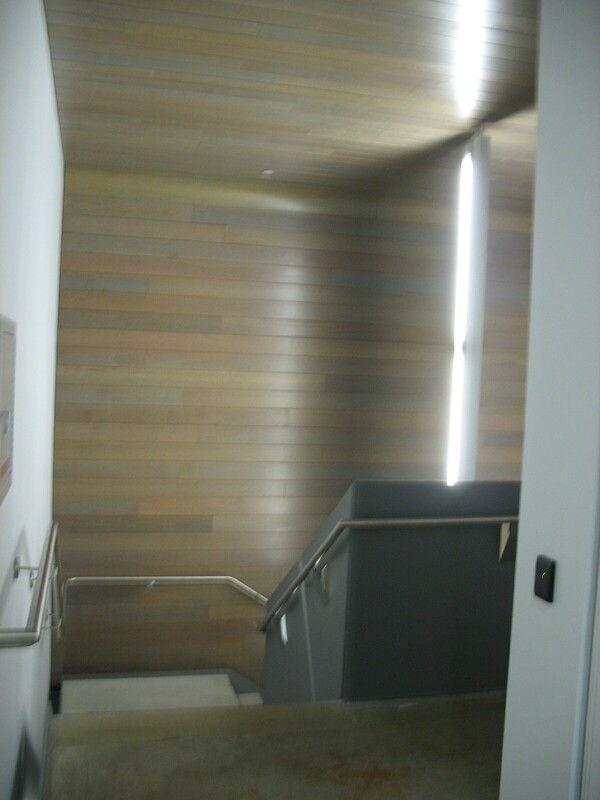 The stairwell walls are covered with flooring material and the stairwell itself was illuminated with a vertical florescent light running from the top to the bottom of the stair. 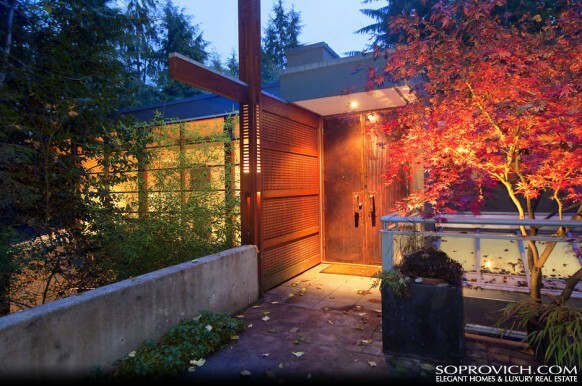 The interplay between the materials created an exciting space worthy of spending time in. 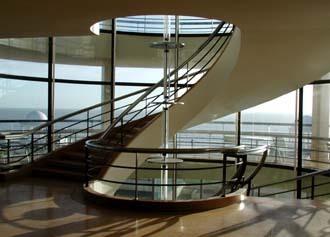 I have no definitive proof of this, but I suspect that they modeled this stairwell after Erich Mendelsohn’s stairwell in the De La Warr Seaside Pavilion (1933) in England. 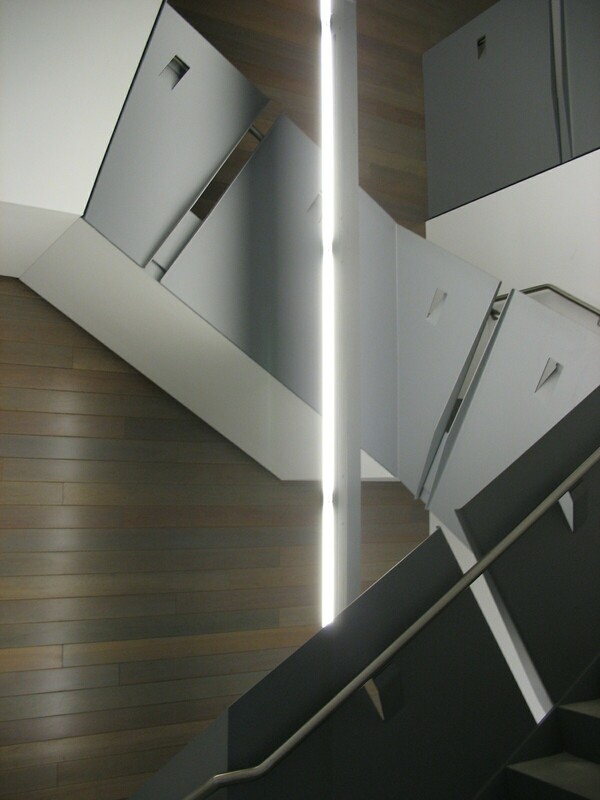 It also uses a similar lighting scheme as you can see below. 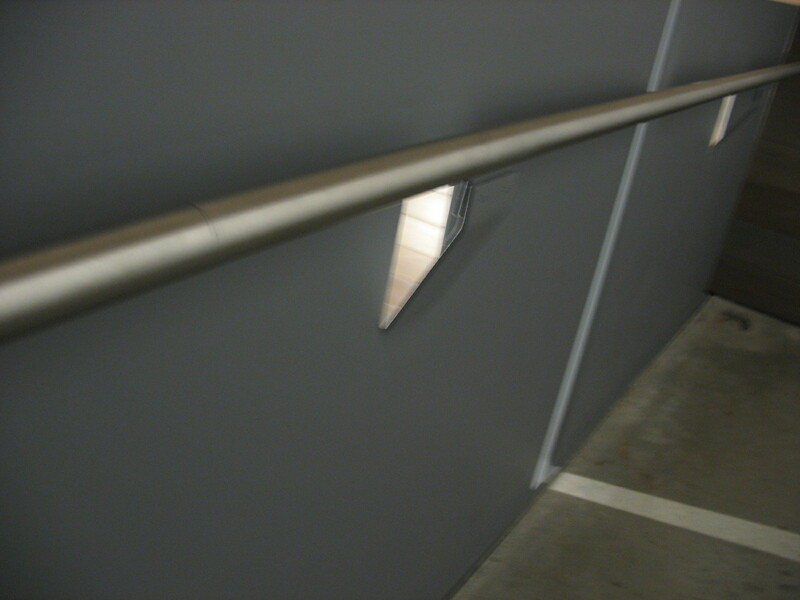 The small detail of the railing attachment that separates from the steel plates to connect to the railing was also ingenious. 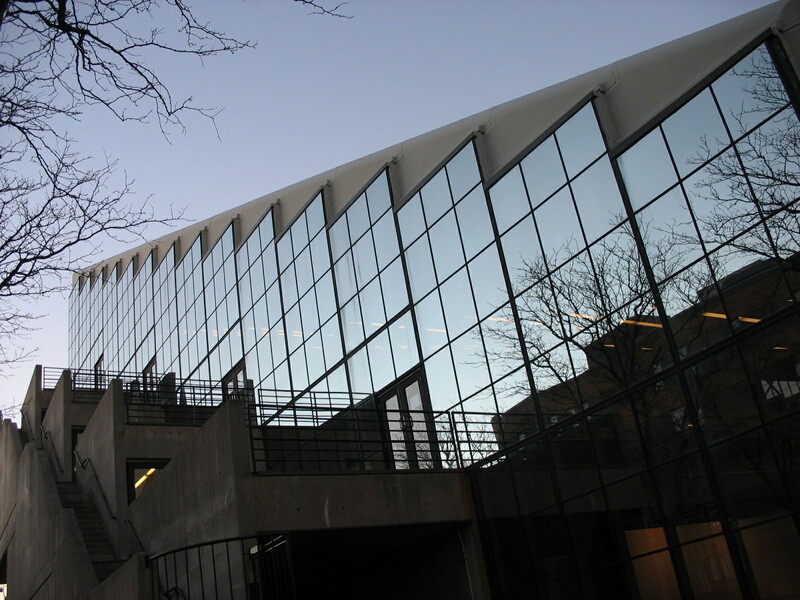 After examining the building, I noticed how the architects were inspired by the other examples of modern architecture in Boston. 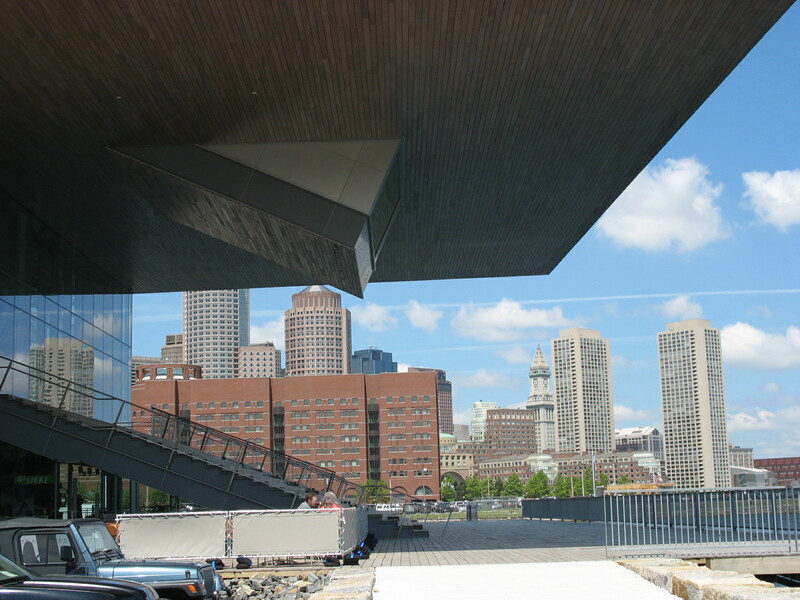 For example, I detected a noticeable homage to Harvard’s GSD building in their use of the tiered stadium seating. 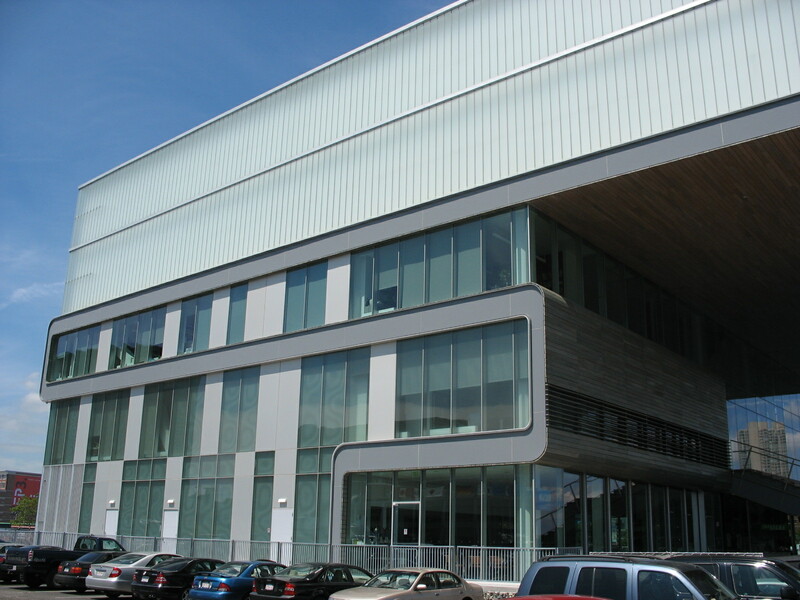 The pop-out computer lab may have been intended as an homage to the Poloroid camera company whose headquarters were in the Boston area. But that is just speculation. 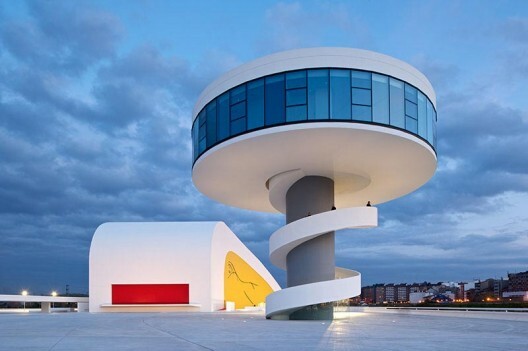 In summary, the building is a modern statement created to house the modern art it showcases. Overall a solid effort.